If you’ve ever had a custom suit made to measure, or a dress tailored to your exact curves, you know the feel of wearing an item made just for you. There’s no awkward bulges, or material scrunching up in the wrong places – everything looks flawless. 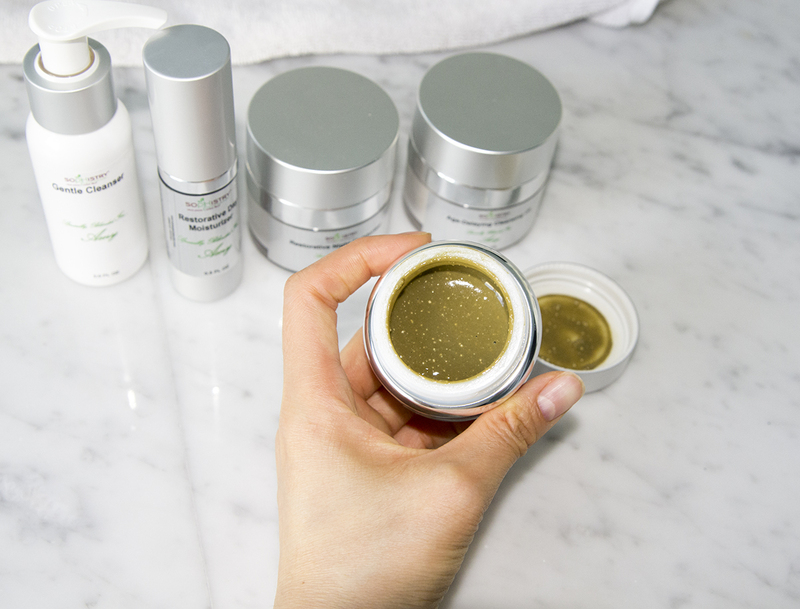 When you take that principle of the perfect fit and apply it to skin care the results are stunning. Or at least, that’s what I experienced using my custom SopHistry Skin Care products. After interviewing Sopiea Mitchell, chemist and founder of SopHistry Skin Care, (full article here) I had the opportunity to experience first hand a client consultation with the brand and receive my very own set of bespoke products! 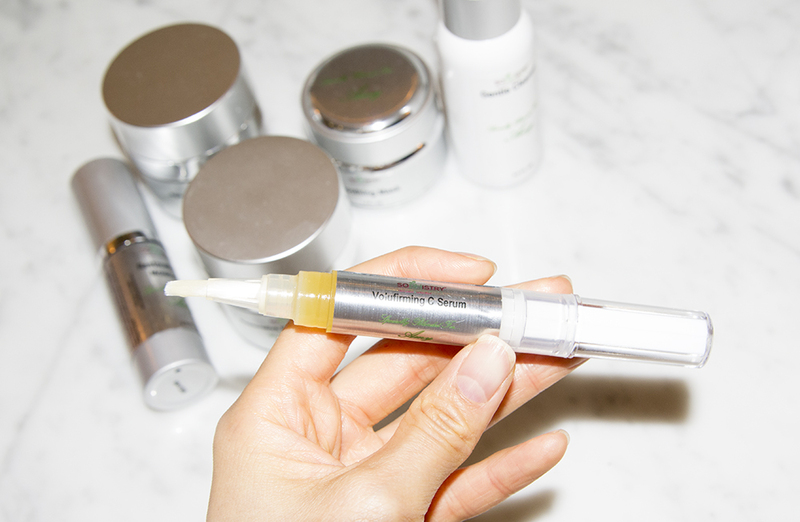 Read on for my full SopHistry Skin Care review. My consultation with Sopiea was in-depth to say the least. In the span of one hour, we covered my entire skin health history starting from puberty working up to present day. This included a full discussion on how my skin changed when I moved for college, or broke out when I moved to a drier climate. I told her about the products I’ve used, am using, and had issues with in the past. She asked about food allergies, how many meals I eat per day, the frequency of my physical activity, and sleeping habits. When it came to my issues with acne, she even went so granular as to inquire about where on my face breakouts occur and at what times during my cycle they happen. The breadth and depth of her inquiries was impressive. If she didn’t already know my skin from just looking at it (which, I have a slight inkling she did), she definitely knew it after our consultation. Alongside the products was a hand written note from Sopiea with detailed care instructions. The instructions outlined skin care goals my products were to achieve: firstly, restore a healthy protective barrier (we discovered I’m guilty of over exfoliating) and secondly, managing adult acne and rosacea (aftermath of years of over exfoliating). The texture of the Age-Delaying Cleansing Oil is unlike other cleansing oils I’ve used in the past. The consistency is a creamy oil similar to a lighter version of vaseline. One pump is enough to spread over my entire face. I massage in the cleanser for two minutes, as instructed, before rinsing with warm water. I’m used to multi-step cleansing to remove my makeup and cleanse the skin, but this simple one step cleanser is powerful enough to get it all in one go. Of all the products the Soothing Mask has the strongest scent. The others have barely noticeable scents, if any, but this one smells very natural; like oatmeal and clay blended together. I apply the mask after night time cleansing and leave on for 10-20 minutes, as needed. 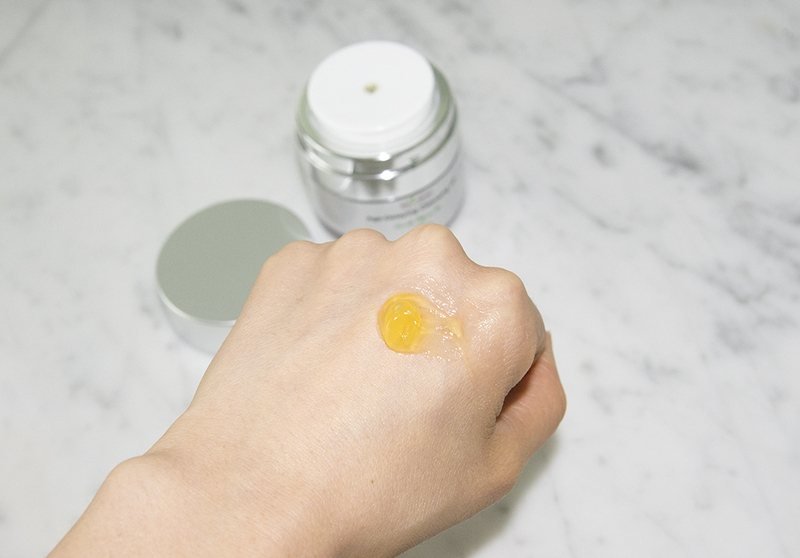 The mask turns to a jelly consistency when combined with water, which feels nice on my skin as I wash it off. My skin looks bright and redness appears reduced after using. The Restorative Night Moisturizer has a creamy consistency like soft slightly melted whipped butter. I rub the cream between my finger tips and then lightly press and pat all over my face. The product absorbs really well and leaves my skin feeling hydrated with no heaviness. When I touch my cheek, my skin feels plump and moist, and no residue or product transfers to my finger; it’s really quite amazing. The dispenser for the Volufirming Vitamin C Serum is similar to the Stila lip glosses (if you’re ever used those). By twisting at the bottom, product is dispensed upwards through a small applicator brush. The brush is great for easy application dabbing here and there. It spreads evenly and absorbs quickly. After ONE use, my skin looks brighter, firmer, and my hyper-pigmentation spots appear a little lighter. In the morning, I wash and rinse quickly (instructions say 10 seconds or less) with the Gentle Cleanser for day. The oatmeal based cleanser feels so soft on my skin. After washing, my face looks smooth and bright. My skin feels cleansed, but not disturbed. The Restorative Day Moisturizer leaves a lighter finish than the Restorative Night Moisturizer, but seems to hydrate just as well. My skin feels silky, hydrated, and smooth after application. And the moisturizer gives a perfect matte canvas for makeup application. Within the first few days of using the products I noticed remarkable changes. Previously, my skin always felt dry and I would slather on hydrating toner, moisturizing serum, face oil and then a moisturizer. 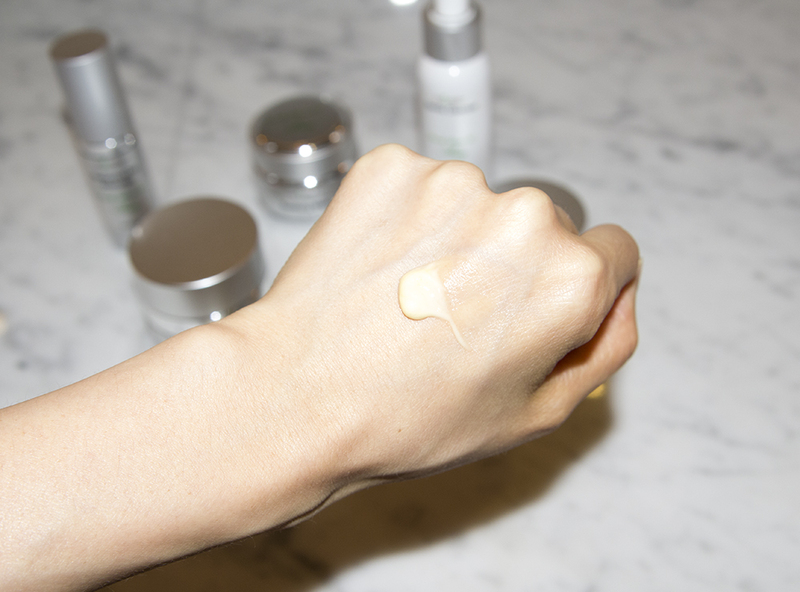 Now, with just one simple moisturizer for day and one for night my skin feels nourished. The little fine lines (dehydration lines) on my cheeks have completely disappeared and smoothed out. And visible pores around my nose and cheeks have also disappeared. I did encounter a few little breakouts, but very minor, initially. Tiny little surface whiteheads popped up all over my cheeks, forehead and chin, but within two days they disappeared. I didn’t freak out because I could tell they were superficial and part of a purging process. I knew if I left them alone they would disappear in a day, which they did. After continued use with the products my skin looks plump, hydrated, smooth, bright, and youthful; better than it has in a long time.